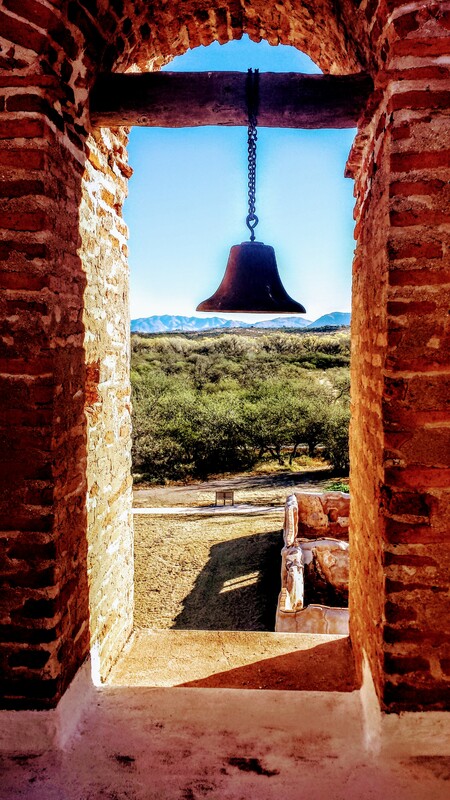 When he first visited the O'odham village of Tumacácori in 1691, which was probably on the east side of the Santa Cruz River opposite today's Tumacácori, Father Kino blessed it with the name of San Cayetano. By 1697, the Indians had built an “adobe and flat-roofed house” in anticipation of a resident missionary. In the meantime, it was used by itinerant missionaries and other Spaniards. Whatever Jesuit activity occurred at Tumacácori between Kino’s death and the 1751 rebellion seems to have been minimal, with reference to it in the historical record being sporadic at best. Father Visitor Jacobo Sedelmayr neglected even to mention the place during his 1751 visitation of Pimería Alta missions. 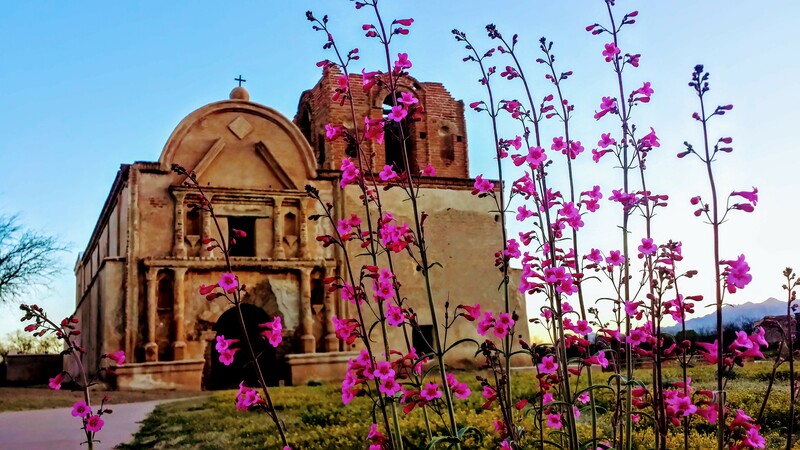 After the Pima Rebellion of 1751, San Cayetano de Tumacácori was moved from the east to the west side of the Santa Cruz River and given a new patronage, that of San José. Early in 1753, the Jesuits dedicated the new location, with its new saint’s name, with proper ceremony. 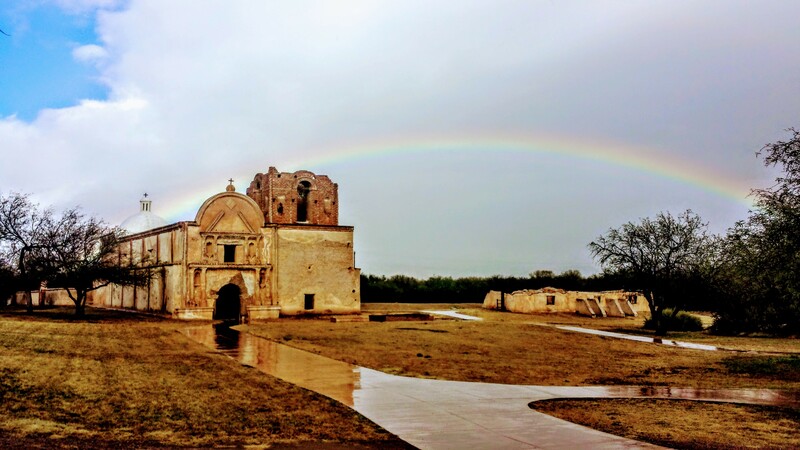 By 1757, the y had built a new hall-shaped adobe church measuring some sixty feet by twenty feet, the stabilized outlines of which can still be seen on the grounds of the Tumacácori unit of Tumacácori National Historical Park. 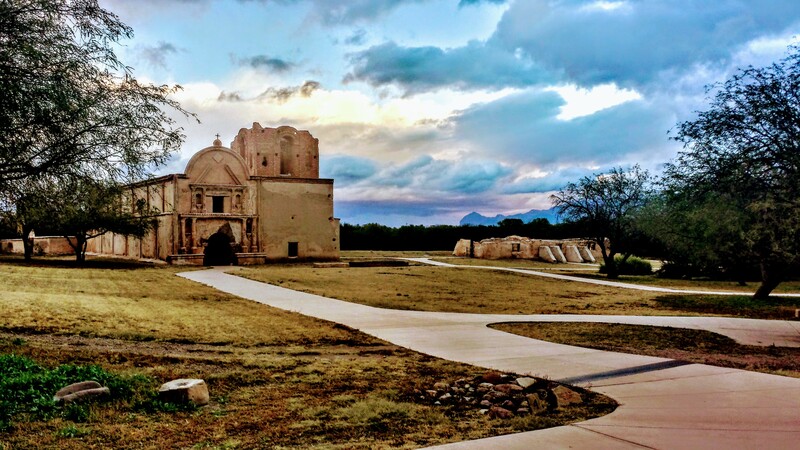 Franciscans began to erect a new house of worship at Tumacácori in 1802, five years after completion of San Xavier del Bac and a year before work began at Caborca. 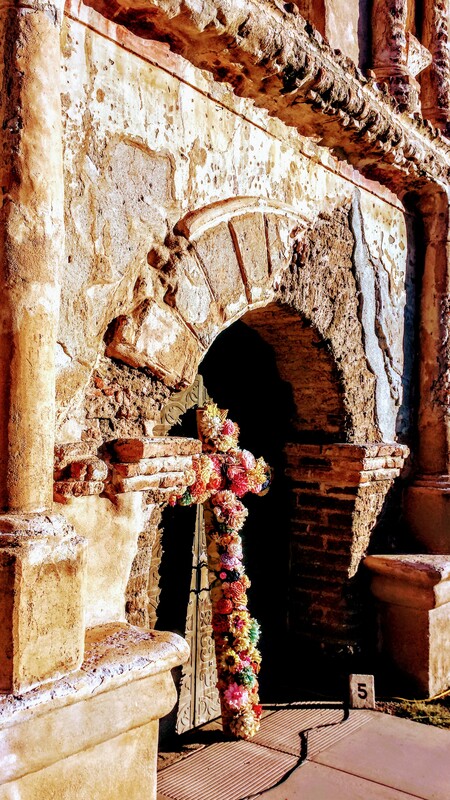 The Jesuit-constructed adobe building was described as being too narrow as well as in an advanced stage of deterioration. Work was behind schedule in January of 1807 because of foul weather. But it was not only the elements that delayed matters. There was a lack of skilled artisans and, more than anything else, Tumacácori was short of money. The sale of four thousand head of mission cattle to a rancher in 1821 promised a solution, but efforts on the church were halted once again in 1822 when the rancher failed to pay installments on his purchase. It had been Fray Narciso Gutiérrez, a minister at Tumacácori since 1794, who in 1802 had the church laid out in cruciform plan and had intended that the roof would be brick, vaulted and domed. His model was Mission San Xavier del Bace. However, it was left to Father Gutiérrez’s successor in 1820, Fray Juan Bautista Estelric, aided by his master builder, Félix Antonio Bustamente of Sombrerete, Zacatecas, to simplify the plan by eliminating the vaulted transepts. What had been intended to be cruciform became rectangular instead. Fray Ramón Liberós, who completed the job about 1828, had been forced finally to compromise even further by substituting a wood-and-mud flat roof for a vaulted brick one over the nave, the only dome surviving in the original plan being built over the sanctuary, and the only vault over the adjoining sacristy. Moreover, sun-dried adobes outnumbered fired bricks in the structure’s walls, making it far less permanent than San Xavier’s brick/stone/lime mortar building.